Forum of the Chamber of Commerce, the first of its kind to be held in Luanda, Angola. This is a one-day forum will share with Angola public officials at the highest level, the importance of Chambers in the promotion of the diversification of the economy. 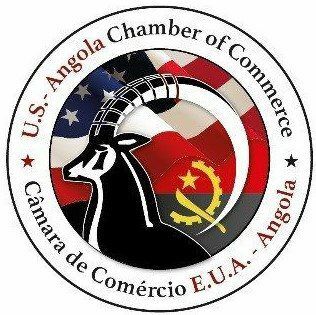 The U.S. - Angola Chamber of Commerce will share how its played an instrumental role in promoting trade and investment between the U.S. and Angola as well as how Chambers like ours can also help to encourage stronger diplomatic and commercial ties. For more information, contact Jacira Calheiros at jcalheiros@us-angola.org. The U.S.- Angola Chamber of Commerce (USACC) and the U.S. Commercial Service Angola will organize a welcome dinner for the Angolan delegation at the Offshore Technology Conference (OTC). The dinner will include the participation of the Secretary of State for Petroleum for the Republic of Angola, Directors, and Administrators from the new Petroleum Agency of Angola and Sonangol, among other distinguished members of the roughly 60 people Angola delegation to OTC organized by the U.S. Commercial Service Angola. The U.S. - Angola Chamber of Commerce (USACC) and the U.S. Commercial Service Angola will host a business forum "Reshaping of the Oil & Gas Sector in Angola and Opportunities for Investment" and will feature the the Secretary of State for Petroleum, Jose Barosso as well as Directors and Administrators from the new Petroleum Agency and Sonangol. For more information on this event, please contact Jacira Calheiros, jcalheiros@us-angola.org and Clemencia Nogueira, clemencia.nogueira@trade.com. The U.S. - Angola Chamber of Commerce (USACC) will host the Angola delegation at the U.S. - Africa Business Summit organized by the Corporate Council on Africa in Maputo, Mozambique. The U.S. - Angola Chamber of Commerce (USACC) will host the Angola delegation at the U.S. - Africa Business Summit organized by the Corporate Council on Africa. The U.S. - Angola Chamber of Commerce and the 25th Constituency of the Wrold Bank Group will host a forum entitled "Investing in the Future of Angola" to discuss opportunities for investment outside of the oil & gas sector with Private and Public sector representatives. The U.S.-Angola Chamber of Commerce (USACC) will participate in the Annual World Bank/ IMF Meeting held from October 18th to October 20th in Washington, DC.